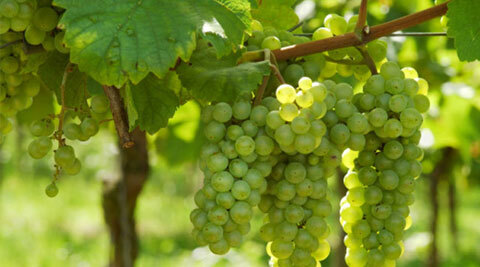 Is there sodium fluoride in your organic or conventional grapes? Most of the talk concerning fluoride exposure these days centers around the chemical's forced presence in many public water supplies, and how this is causing an epidemic of chronic health problems. But little do many people realize that fluoride exposure is also problematic throughout the food supply, including in fresh food crops that have been sprayed with pesticides and herbicides made from fluoride compounds. Since fluoride chemicals are persistent and do not biodegrade, they often build up in soils where plants uptake them into their roots, stems, leaves, and even their fruit. This has clearly been observed in grapes, for instance, which often contain levels of fluoride far higher than the U.S. Environmental Protection Agency's (EPA) maximum contaminant level (MCL) for fluoride of four parts per million (ppm). Sadly, conventional crops are not the only ones subjected to fluoride chemicals. Even though many of the more than 150 fluoridated pesticides on the market today are prohibited for use on crops grown according to the U.S. Department of Agriculture's(USDA) established organic standards, the agency still allows the use of fluoride chemicals on organic crops. According to research compiled by Dr. Paul Connett, Ph.D., a professor of chemistry at St. Lawrence University in New York, the USDA, when crafting its final guidance on National Organic Standards (NOS), ignored public concern about allowing the use of fluoride on organic crops. Despite all the evidence showing fluoride's dangers, and the fact that it is a synthetic chemical that has no place in organic agriculture, the USDA sided with the EPA in declaring that sodium fluoride is inert, or inactive. "To call sodium fluoride an 'inert' is Orwellian and defies one of the NOS's stated principles: producers shall not use 'natural poisons such as arsenic or lead salts that have long-term effects and persist in the environment,'" wrote Dr. Connett and his wife Ellen in a published paper on the use of fluoride chemicals in agriculture. "Sadly, the use of fluoride in organic farming could undermine the public's confidence and safety in organic food -- both here and abroad. This will become more obvious as the movement against fluoridation of public water picks up momentum worldwide. As it does, more and more people will be asking questions about fluoride levels in their food. Unlike the List of Inerts, fluoride levels in organic food cannot be hidden." whenever possible, or to personally contact individual wineries and grape growers to inquire about whether or not they use cryolite, bone meal, and other high-fluoride treatments on their grapes. You can also inquire as to whether or not they regularly test for fluoride levels in their wines or grapes.